I recently had the privilege of joining ten other senior Anglican leaders and three wilderness guides for a week long leadership retreat in the Colorado Rockies. The hike up to our base camp at 11, 500 feet was made even more exciting by the presence of four llamas that carried our food and much of our gear. My llama, an adolescent named Joe (I assume he was an adolescent because he stopped constantly to eat! ), proved to be a tremendous challenge whenever he wasn't leading the pack. Following another llama is not in Joe’s DNA. He is what is known as an ‘alpha’ llama. When he wasn’t rearing up on his hind legs in protest, or pushing one of us into a tree, or drenching one of us in a mountain stream, Joe was otherwise busy ignoring all of my efforts to lead him. It took lots of trial and error to figure out how to get through to him. I have to laugh when I reflect on it because leading Joe bore a distinct resemblance to church leadership. Like a llama, church leadership can be a strange animal. It is a wonderful blend of exhortation, encouragement, and perseverance. When you add calling, vision, and mission into the lot, then mix in prayer and obedience, it becomes almost mystical in nature. Many church leaders do not believe they are their own bosses. They answer to a higher authority—the one who promises to build his church. Yet, the truth remains that the incarnational nature of our faith intricately ties who we are into what we do. In other words, leading is more than what we do—it is who we are. Recent studies show that only 3% of pastors in active ministry consider themselves leaders. This statistic is alarming on many levels and hints at why the Church is experiencing losses in attendance and membership. It is probably a reflection on the nature of the work, as well as the methods of training and preparation we use. At the heart of it, the issue may be one of role definition. Many pastors consider themselves teachers, others see themselves as pastors entrusted with the “cure of souls.” Few understand that their central role is to be one of leadership. However, the long-term health and vitality of a church is often tied directly to the strength of the leadership. My retreat was organized, funded, and led by the Anglican Leadership Initiative (ALI), which sprang from a vision God gave to David Drake, rector of Church of the Resurrection seven years ago. Convinced that developing our clergy and lay leaders was at the heart of the success of our movement, David joined forces with several others to create a means to refresh leaders in the great outdoors by creating disequilibrium (hence the llamas!) then drawing them closer to God and to one another. The community that developed was extraordinary—we had to depend on each other for the basic necessities of life. As we listened, prayed, fished, hiked, rappelled, climbed rocks, and went white-water rafting, we were recharged and God’s vision for our ministries was renewed. God was whispering into our lives and reminding us of the dreams he has given us over the years. With those gentle reminders, he released again the passion and drive that often leaks out over time. I am profoundly grateful to David, ALI, and the other leaders on the retreat for their investment in me. Having just been recharged reminded me of the need every leader has to get away, pray, and listen for God’s direction. I’d like to ask all of our congregations: What can you do to refresh and care for your leaders? Are you noticing that your leaders are getting a bit testy? Are you seeing signs of fatigue? Are the sermons you’re hearing losing focus? If so, it may be time to invest in a little llama whispering. The Rev. Canon Tom Herrick, D.MIn., is Canon for Church Planting for the Diocese of the Mid-Atlantic and chair of the Great Commission Committee. 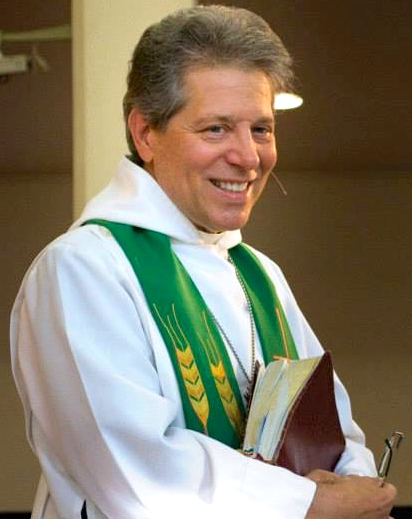 He also serves as Executive Director of the Titus Institute and is a member of the Adjunct Clergy at Truro Anglican Church in Fairfax, VA.
Click here to learn more about the Anglican Leadership Initiative or email anglicanleadershipintiative@gmail.com.